The Frē Case for Samsung Galaxy S8 from Lifeproof protects your smartphone during your outdoor activities. Indispensable for everyone during fieldwork! The Frē Case for iPhone 6 / 6s is durable and can withstand many extreme working conditions. You can even work underwater with it. 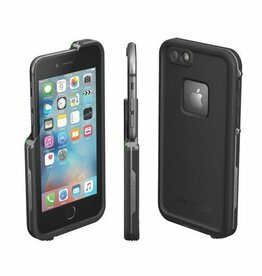 The Lifeproof Nüüd Case for iPhone 7 stands out in the fact that you can use it in extreme conditions while the whole is screenless. The beautifully designed and extremely practical Frē Case for the iPhone 5 / 5s / SE by Lifeproof is very durable and drop-resistant.